October is full of surprises! We have a special treat for all our frequent KRR guests, if you’re not, it’s time for you try it and the best way to do it is through our Buy 1 Free 1 Kenny’s Chicken & Pasta Meal! All you have to do is flash this e-voucher to enjoy this treat. 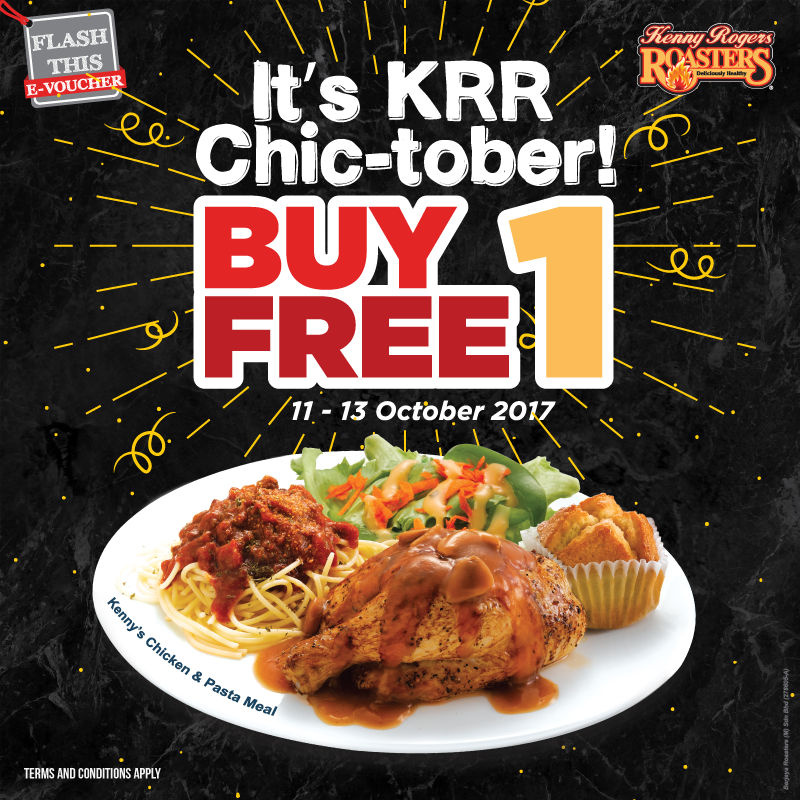 The promo is valid from 11th October - 13th October 2017. So mark your calendar! Not available for take-away, ROASTERS Delivery / Catering. Discounted item is not exchangeable and cannot be redeemed for cash. Not valid with other offers/discounts/promotions. Price varies based on location.